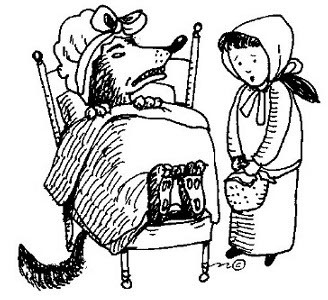 Click on LRRH to read Perrault's version of the tale or on the Wolf to read the Grimms' version. A classroom activity for any of the four skills in Secondary English Courses. Please, grade the task not the text! Ministerio de Educación. Instituto de Tecnologías Educativas.